Soups are always considered to be healthy dish which should be included in our daily diet. 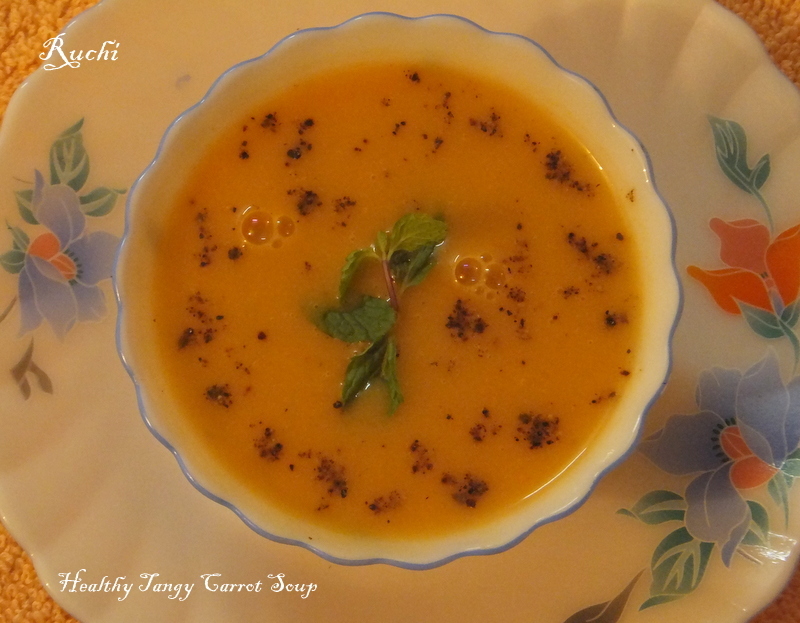 Tangy Carrot Soup is a delicious appetizer that is simply easy-to-prepare and comforting winter treat. 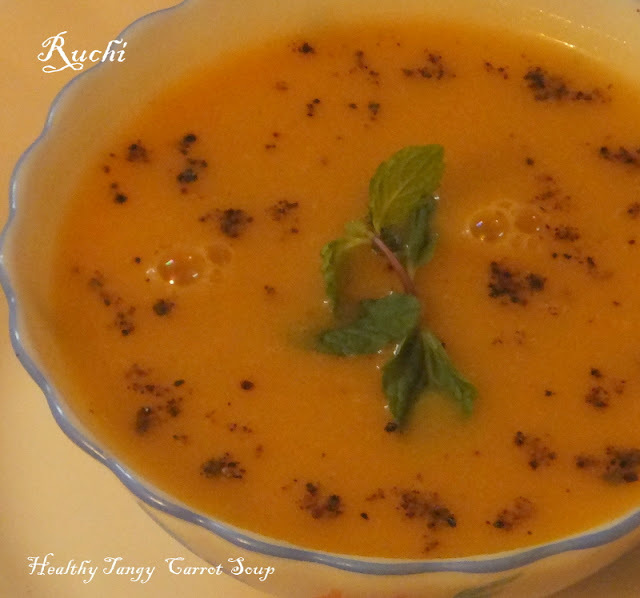 Carrots simmered in orange juice and then blended with other flavorings make this soup to be more nutritious, healthy as well as tasty. It’s Sweet and tangy taste makes it more delicious. Once you have this Tangy Carrot Soup, I am sure you will always crave for it. 2.Lightly fry the onion on low heat with peppercorns and ginger. 3. Now add the carrot and potato. Stir for a minute on low flame. Add some water and vegetable stockto it and boil. 4.Simmer for 7-8 minutes on low heat and then remove from fire. 5. Cool down to room temperature and grind in a blender to a smooth paste. Strain the vegetable puree. 6. keep on a low heat before serving Add orange juice, salt and pepper to the soup and serve hot. Adding orange juice, sounds very interesting. Delicious carrot soup.